This is one of my favorite pieces. 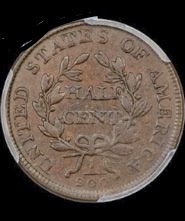 Low mintage to start with (356,000) and PCGS estimates that only 1,000 or so survive today. Yet you can buy a really pretty example like this for around $500 or less (2014). This is the "Large 6, Stems" variety, but few people collect half cents by variety or date - it's mostly in type sets. 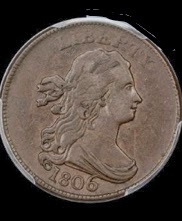 Pretty coin, no doubt.